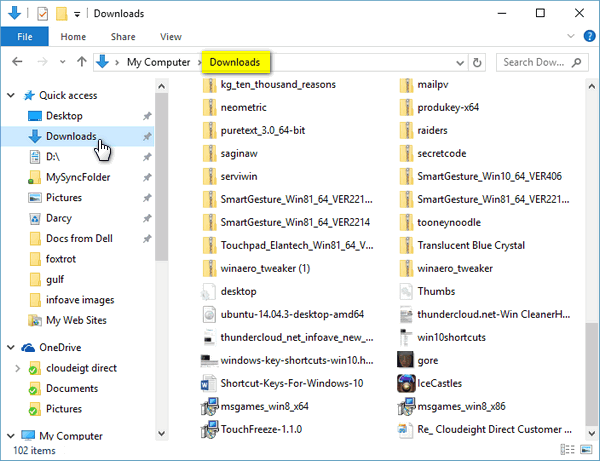 Quick access is a very useful feature in Windows 10 that keeps your most often used folders right at your finger tips. Windows 7 had “Libraries” which most people found confusing. Its purpose was to keep the folders people used most often at their fingertips, but not many people understood it or used it. Windows 10’s Quick access is similar to libraries in Windows 7, but easier to understand and use. 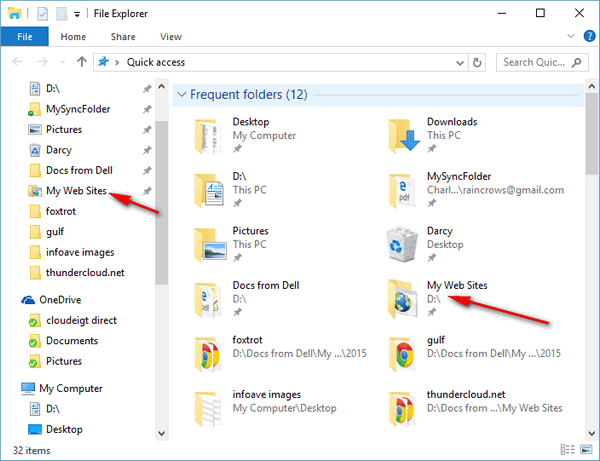 Quick access is a feature of File Explorer. 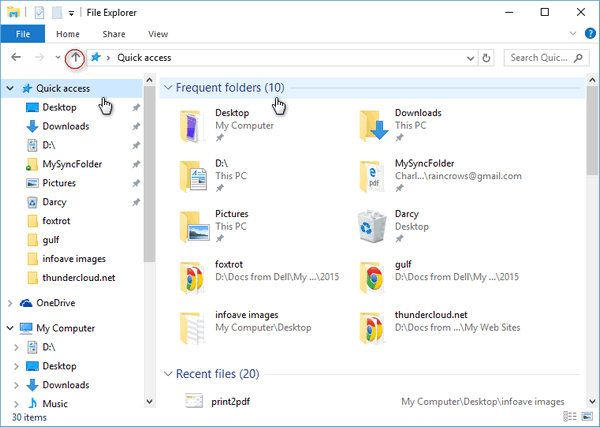 File Explorer, in Windows 10, is just like Windows Explorer in previous versions of Windows, but has more features. One of the best new features is the Quick access menu. You’ll notice in the screenshot below, on the left side there’s a list of my most frequently accessed folders – which are also listed under Frequent folders in the right pane. This makes it easier to locate and navigate the folders you access most often. If you need to navigate to other locations, click on “This PC” (My Computer in screenshot below because I changed the name This PC to My Computer for a newsletter tip a while back). If you click on This PC you’ll see all your files, folders and drives and not just your most frequently accessed folders. 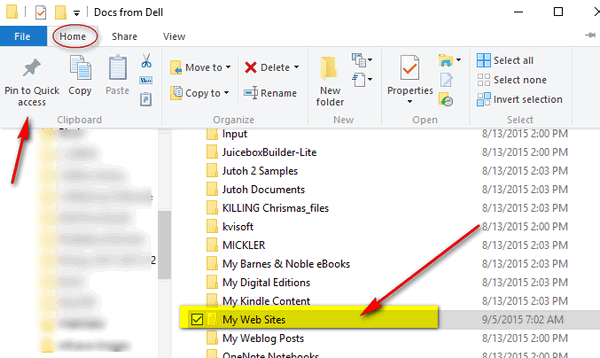 Above, you can see I added a folder called “My Web Sites” to my Quick access menu. Below you can see that My Web Sites is now pinned to Quick access (below). Quick access is a great way to keep your most often accessed folders at your fingertips – and it’s another great feature of Windows 10. You can access File Explorer and its Quick access feature by pressing Windows Key + E or by clicking on its “folder” icon on your taskbar. I had Windows XP for a long time, then Windows 8.l for a few months, before upgradidng to Windows 10. I am 86 years old and did not find the transition that difficult. There is a lot more things on 10, and I do not know all of the programs and probably will never use some of them, but they are there if I need them. Why people would not want to upgrade to 10 I don’t understand, but to each his own.